Hip Hop is an ever-evolving form. MIXTAPE is a collaboration of seven local artists whose differences in upbringing, generation, and relationship to “Hip Hop” have evoked important questions and dialogue around “What is Hip Hop?”. Through creating, sharing, and reclaiming space as a community belonging to different histories, we challenge the dominant narrative that has appropriated, commercialized, and corporatized “Hip Hop” culture. *It’s a Feeling was commissioned by the Saint Paul Conservatory for Performing Artists (SPCPA). 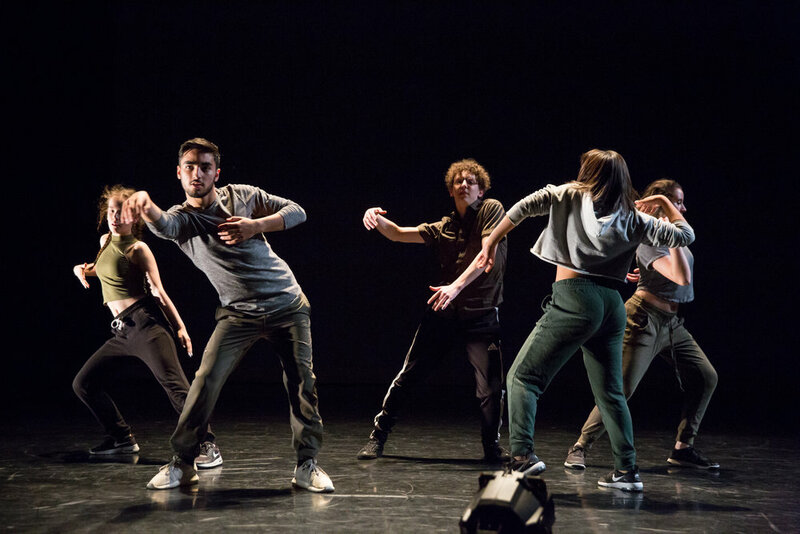 The dancers are SPCPA students, coming from all levels and backgrounds of dance training, who have been invited to continue this work in exploring house. I grew up in a small town just a couple blocks away from 8 mile Detroit, where I was first exposed to house music and culture. At thirteen years old, I started going to the clubs and freestyling. Dancing to house music made me feel good, made me feel free, and above all else, taught me how to be me. In 2012, I moved to the Twin Cities to continue my degree in dance. Through the Twin Cities house dance scene and mentorship from Ozzy Dris, I realized that I was a part of a culture, community, and a movement that was bigger than me and my own reasonings as to why I did house. In realizing how much house has given me as an individual and dancer growing up, I have made it my responsibility to learn the history, the music, and to acknowledge those that came before me that labored in keeping house culture - their livelihood - alive, present, and thriving. Marjory Smarth and Boogie McClarin has most impacted me through my continuous research of house. These women heavily influence my outlook on house dance, which roots me in my humanity, community, in love, feeling, and a people’s liberation. I am passionate in exploring and reaching wholeness, a genderless and fluid expression of dancing, and grounding myself in a practice that is spiritual, honest, and love.